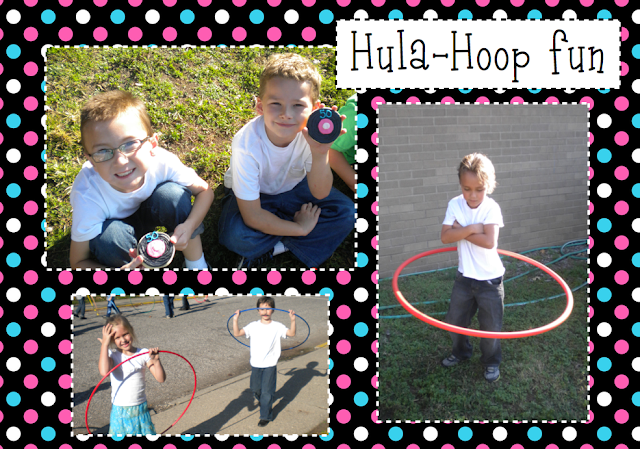 Primary Possibilities: Shake, Rattle, and Roll!! We celebrated the 50th day of school this week! 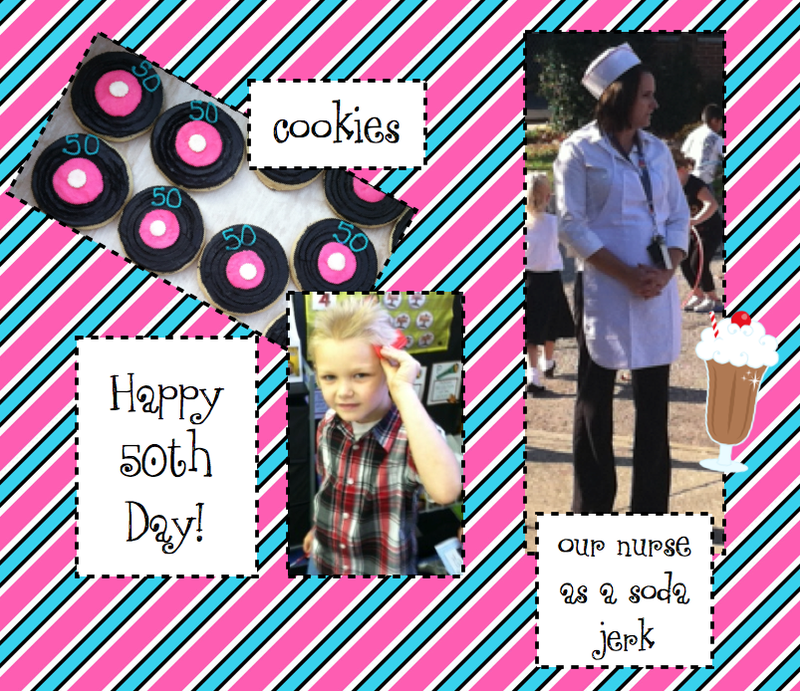 I can not believe it is already the 50th day. In this post, we have included some activities our K-2 students did during the week. 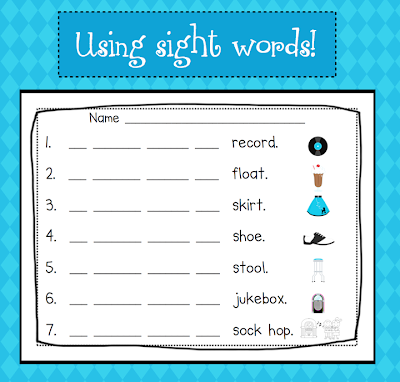 I created this emergent reader for my kindergarten students to work on one-to-one correspondence and sight words. Click here or the pictures below to link to the freebie on Teachers Pay Teachers. My students enjoyed reading this emergent reader. The children also had to use the predictable chart to write sight words. Students had to use the sight word cards to write "I can see a" in the blanks. I just had to share my weekly newsletter too. I always send home a weekly newsletter on Monday of each week. 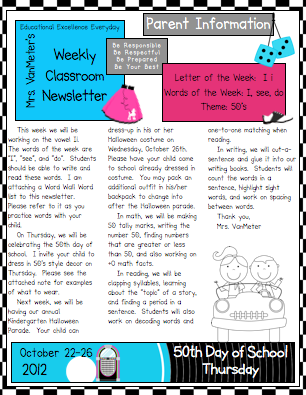 Here is the newsletter I sent home for this week. I thought it turned out real cute with the 50's theme. I use the same template, but change the clipart and information in the newsletter weekly. 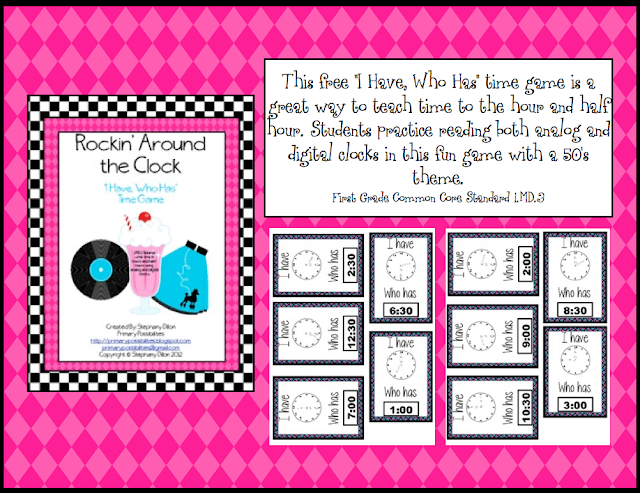 Stephany made "I have, Who has" game for telling time to the hour and half hour. 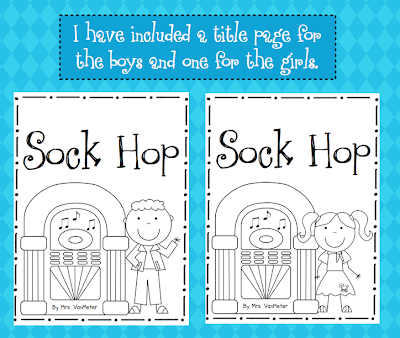 It is available for free in her TpT store. Click here or the picture below to link directly to her store. The first picture below is of my students cutting out pictures for our Venn Diagram. We sorted pictures "then" and "now". The second picture is too cute. These boys are dancing at our sock hop!! I love how both boys are pretending to play the guitar! No, it's not James Dean. But, look at Chad! He looks gorgeous! I love how the sun was in his eyes and he's squinting. He is a first grader in Stephany's classroom. 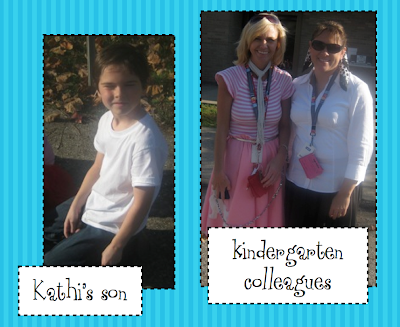 The other picture is of kindergarten teachers, Heather and Kiley. They have PBIS eagle features around their necks. We pass these out when we see positive behavior from any student in our school. The cookies turned out so cute... and tasted just as good! (Don't tell, but I ate two.) The kids had black icing everywhere! The nurse and I both dressed as a "soda jerk". It was a super easy costume. 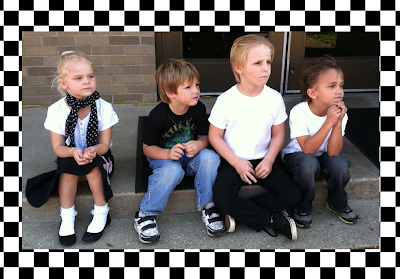 50 amazing days of school celebrated with some of the fliest kids around! 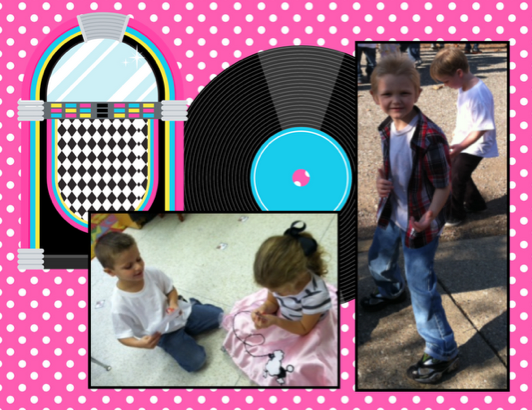 Your sock hop looks like so much fun! The kids are adorable. And we wear our PBIS tickets on lanyards around our necks too!